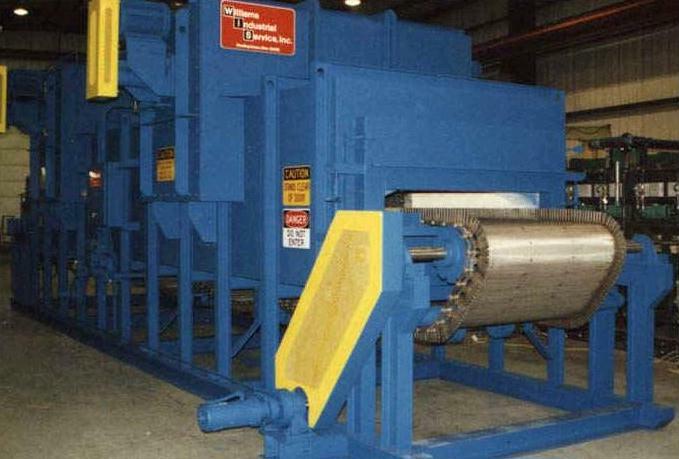 Continuous Heat Treat Furnaces refer to the fact that product is continuously moving into and out of the furnace, with no real start and stop point in the process. 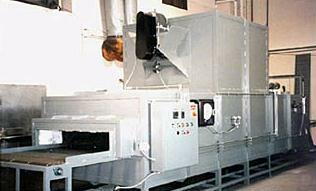 These furnaces are most often used for high production parts such as pipe, bar stock and wire. There are various methods of moving parts through the furnace, depending on part size and operating temperature. Wire may be pulled through the furnace without even touching anything, conveyor belts may be used for small parts, and slide rails may be used for large parts. A “walking rail” is a combination of a conveyor belt and fixed rail. The rail is actually many sections of rail that moves in such a way that the part is “walked” through the furnace. It is used for large parts and higher temperature applications.